Are you in the mood for some old-fashioned comfort food? 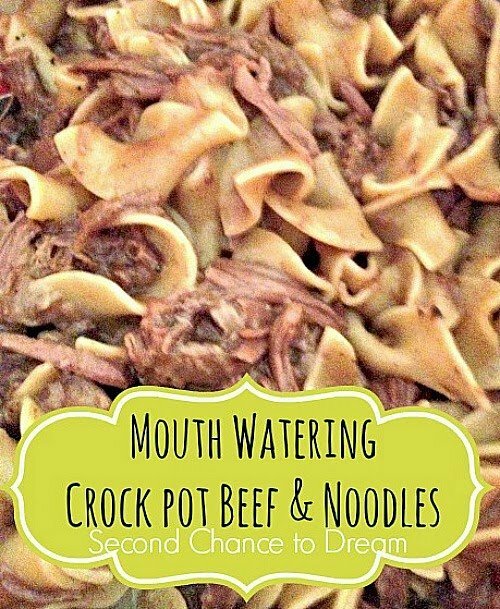 Then you need to try this quick and easy recipe- Mouthwatering Crock Pot Beef & Noodles! 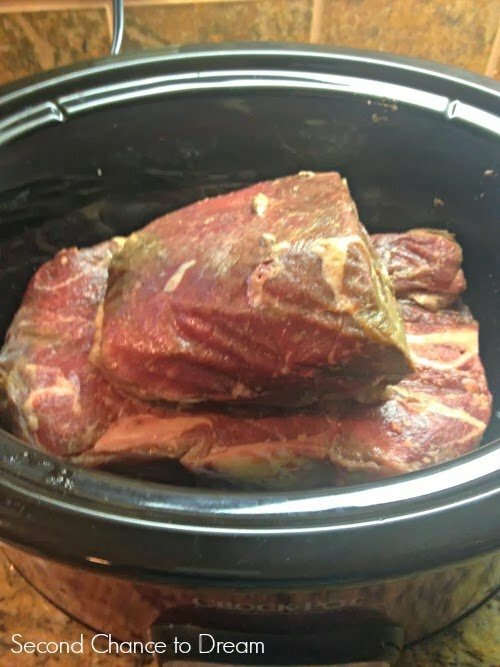 Put your beef in the crock pot and place it on high which takes 4-6 hrs. If you throw it in before work you would want to put it on low. Add your Italian dressing, Ranch dressing and French Onion Soup mix and 1 cup of water. 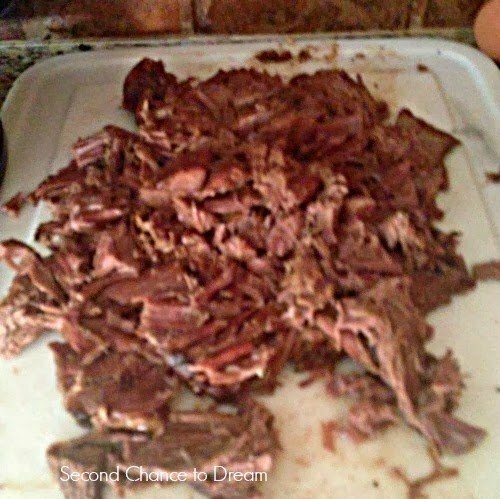 Once the meat is done remove it from the crock pot and shred the beef. Take the broth from the crock pot and pour it into a pan and add your cornstarch. Start with 1/4 cup of cornstarch and add more as needed. You want it to thicken a little. Cook your noodles. Once they are cooked, drain. 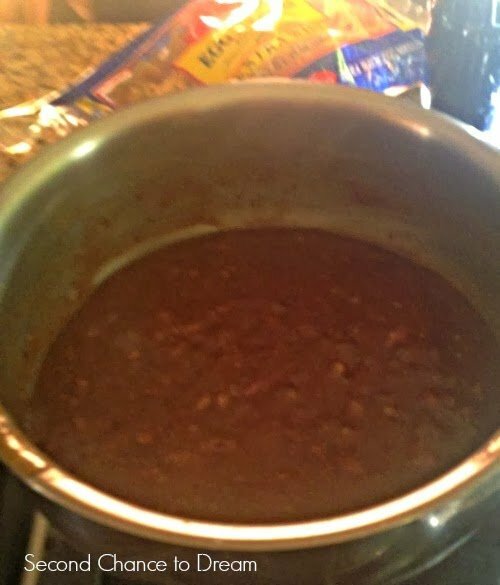 Pour into a large bowl, add your beef, gravy, and stir together. Yummy!!! This certainly helps with these cold winter days we are having. 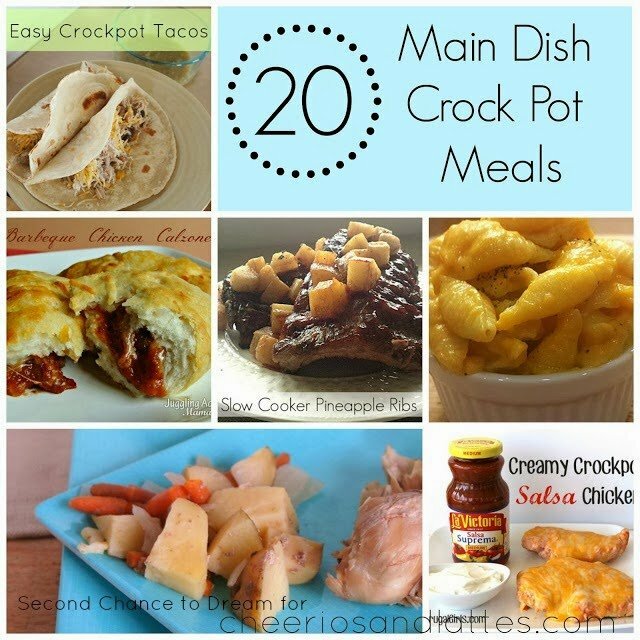 Do you want more Crockpot recipes? 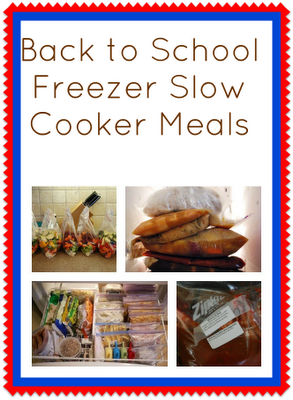 Check out these Freezer Crockpot meals. Thanks for stopping by. I’d love to have you follow along and subscribe to my RSS Feed or sign up to receive daily Emails delivered to your inbox. You can also follow along via Facebook, Twitter or Google +. 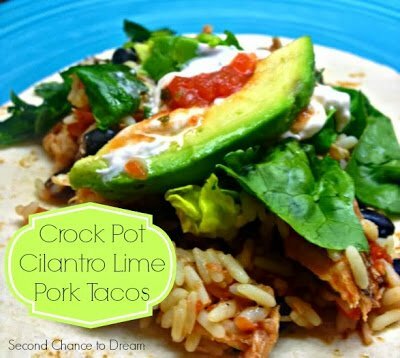 Just put this in the crockpot . Sounds so good! Thanks for sharing! Came out fabulous!!! Thank you!! This looks and sounds amazing but I'm not a fan of onion...should I double up on the Italian seasoning? Yes! That would work. Thanks for stopping by. 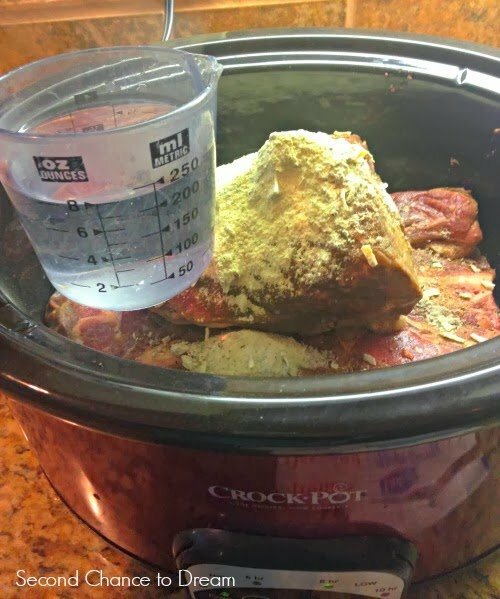 Love your mouthwatering crock pot beef noodles recipe. 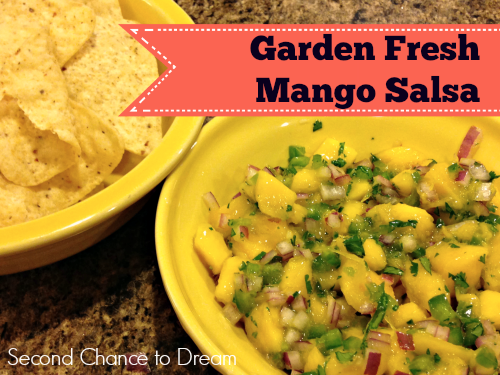 I'll definitely try it, and add some tomatoes with pepper! I found your post from Pinterest! 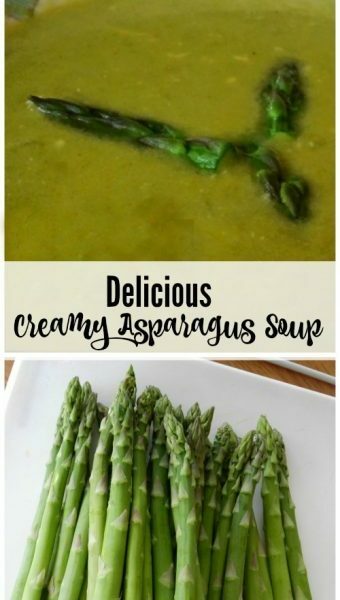 I'm also gonna pin this post on my Pinterest board my followers will love it. Thanks for sharing, Barb! 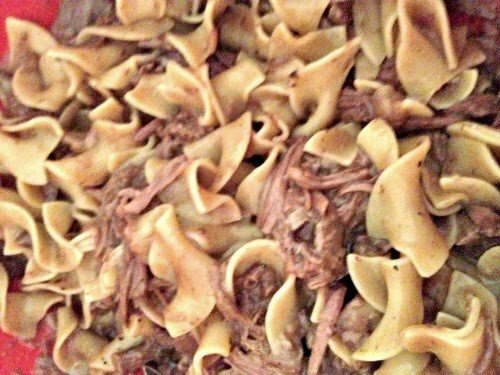 This is absolutely magnificent, scrumptious, delicious, super yummy mouthwatering crock pot beef noodles recipe. 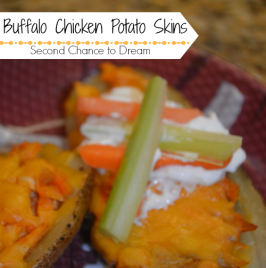 Thx, Barb for sharing recipe, I definitely add it to my cookbook! I love these awesomeness mouthwatering crock pot beef noodles! This looks so great, especially with that French Onion Soup package! Thanks, Kara! It is so yummy. Definitely a family favorite.